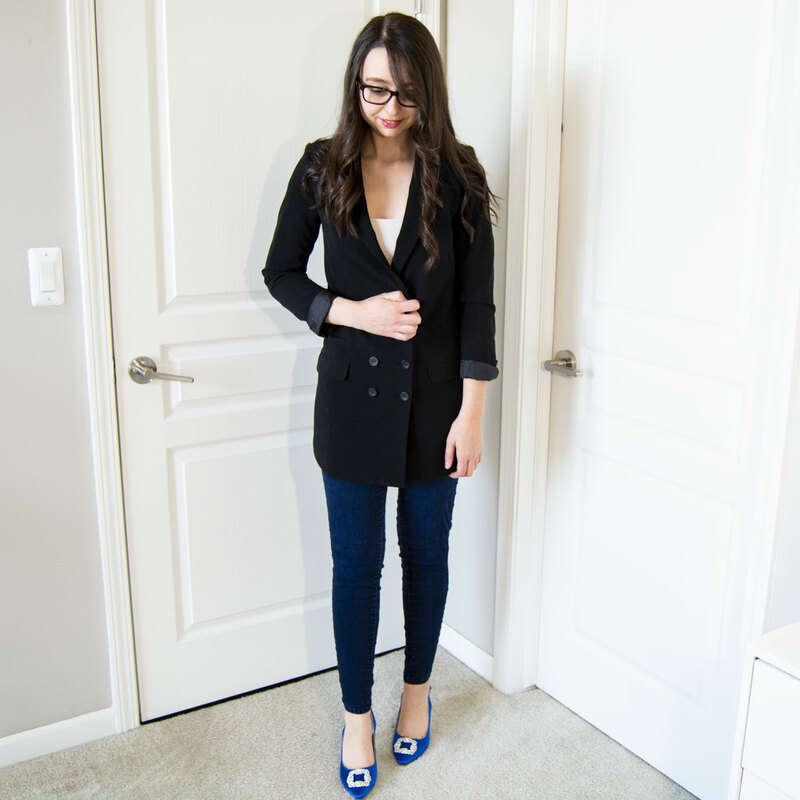 I snagged $1,681 worth of clothes for just $132 – yep, you read that right! I tried online thrifting for the first time and here’s an honest ThredUp review and the world of online thrifting. I’ve had an account at ThredUp for over a year but I’ve never made the plunge and ordered. I’ve decided that 2019 is the year of stepping out of my comfort zone – and that starts with my clothes! It seems like all I bought last year was navy blue – it was my “blue period” and this year is all about pink, yellow and being bold! 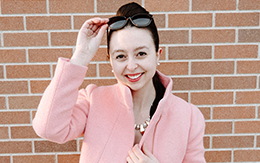 ThredUp is an online thrift store – you send in your items, they’ll quote you and give you cash or store credit, and then you can shop their very extensive online store of pre-loved clothing! Hooked already? Start shopping – click here to sign up and automatically get $10 to apply towards your first order! I personally don’t sell to ThredUp, I only purchase. I’ve heard some good things and some less than good things about sending items in for be valued and I’d rather take my clothes to physical thrift stores near me if I’m selling. The grand total of my shipments (31 items total) came to $131.96. But, the MSRP of everything totaled $1,681! So I’m really, really pleased with my new-found treasures. Most of what I purchased was NWT and everything else was in EUC. That being said, there were definitely a few pieces that had loose buttons or small, barely noticeable stains. But for the most part, everything was well-represented. The reason why I got such a good deal was you have to know the right time to shop. For first-time shoppers, you get a one-time 30% discount and I used it well! And, I shopped during their holiday sale at the end of December when they had dropped prices on a lot of their items to under $4. Since it would take 31 pictures to show you my entire haul, here’s a few of my favorites pieces! Here’s my white whale! This Sandra Angelozzi dress came with the tags for $290 STILL on it! I paid $2.80. This needs a little TLC, though, since the gemstone band is coming undone at a few spots. …and the second white whale! I have been lusting after a pair of J.Crew pixie pants for so long, but I couldn’t let myself shell out the cash for what’s basically a pair of leggings that are appropriate for the office. I’m ecstatic and this is definitely going to become my spring uniform. 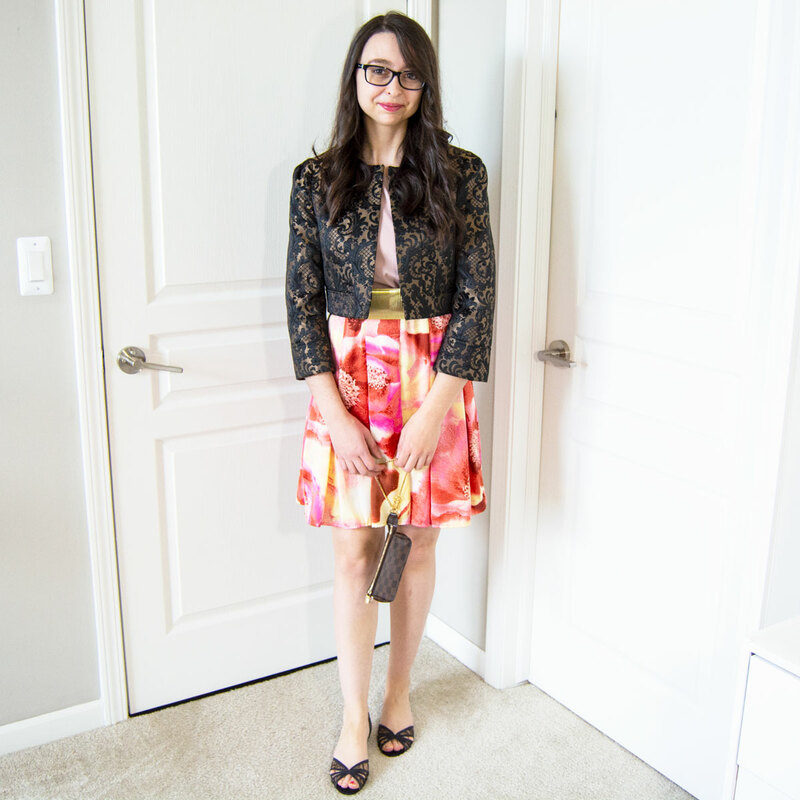 Has my ThredUp review convinced you, yet? Overall, I would definitely purchase again. Click here to sign up via my referral and you’ll get $10 to shop with your first order! The next time they have a sale, I will definitely be snagging another new closet!